Guests of Bay Inn of Petoskey can take advantage of amazing dining opportunities throughout Petoskey and the surrounding communities. Please browse the list below for details on area restaurants and cafes. Please be sure to ask for our local dining guide upon check-in for information including menus, pricing, and maps. 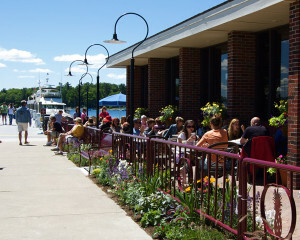 Casual eateries with bar atmospheres, superior deli options, and world class fine dining are among the many options available to those vacationing near Petoskey.